I’m back to share with you my Easter dress! I don’t know how the rest of you are, but at times half my “sewing” time is spent searching for inspiration. I’m a visual person, and normally I have to see an idea of something before I get inspired and create something of my own. I was searching for weeks for the perfect pattern for an Easter dress and just couldn’t nail down something that I liked that would also be flattering on me. While I was searching for patterns, Pink Castle ran a 40% off apparel fabric sale, (seriously, how awesome is that and why did I not buy more? 😉 ) and I picked up several Cotton+Steel prints that I’d been admiring: some Ephemera double gauze and Mochi floral lawn. 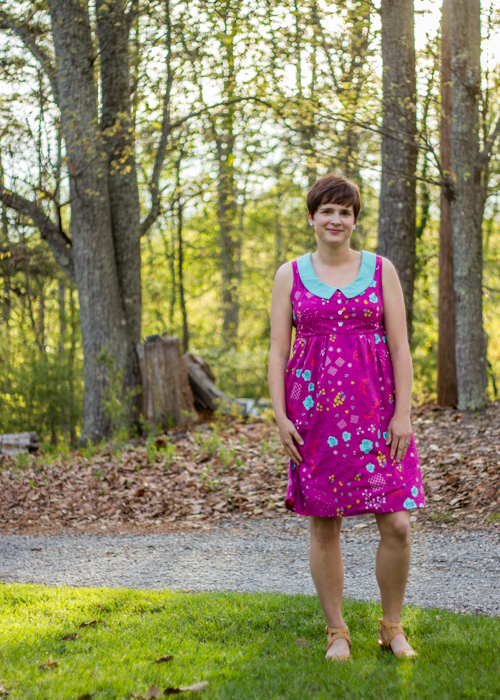 I had intended for the double gauze to be my Easter dress, but changed my mind after I saw the lawn in person. This lawn is my new favorite fabric. It is so lightweight, airy, and silky-smooth without feeling sticky or clingy. I only bought two yards of the lawn so that narrowed down my dress options immensely. I decided to try out the Washi dress again, this time using the extension pack options. I have loved my previous washis (blogged here, here, and here) but they didn’t get much use during the pregnancy/nursing stages that I’ve been going through the past few years. Now that I’m not nursing anymore and my *ahem* bust is back to a normal size, I have been excited to add them back into my rotation. I’ve been meaning to try out that Peter Pan collar option with the Washi XP ever since Rae released it but never managed to get around to it. Now was the perfect time to try some fun options! I made size M of version C from the expansion pack: sleeveless, fully lined bodice, pleated front, the elastic casing in the back, and the pointed collar. The one change I made was to piece the front bodice (similar to view A) in order to squeeze this dress out of my 2 yards. I also added some length to the back elastic due to being wide waisted. I love, love, love how this turned out. 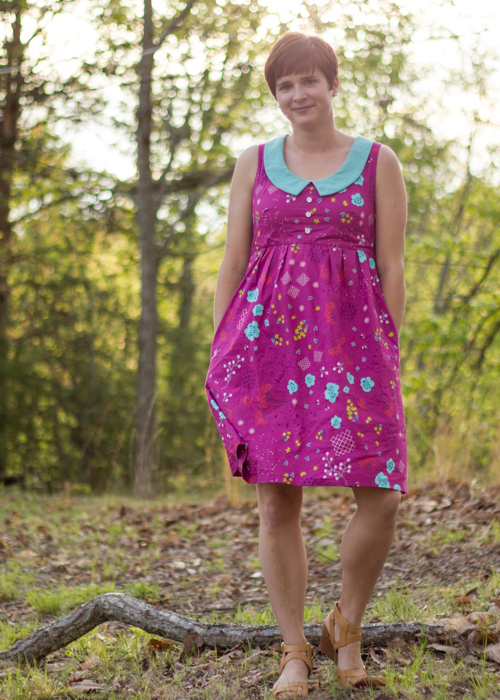 It is so very comfy and perfect for hot summer days- did I mention pockets?! The collar is made from some Essex linen in Aqua that I picked up several years back from Pink Castle fabrics (she’s out of that color but has several other colors in stock still.) Such a happy accident that it matched my dress so well! Because the lawn is fairly sheer, I ended up lining the entire dress with a lightweight cotton batiste. The bodice lining instructions are included in the washi xp pattern, and I just gathered a rectangle of fabric and attached it to the bodice/elastic casing seams for the skirt lining. Quite easy but it does take some of the give out of the elastic so you have to take a little more time getting the dress off and on. I loved making the lined bodice- so much nicer looking than facings in my opinion. And Rae is so good about walking you through techniques like this. 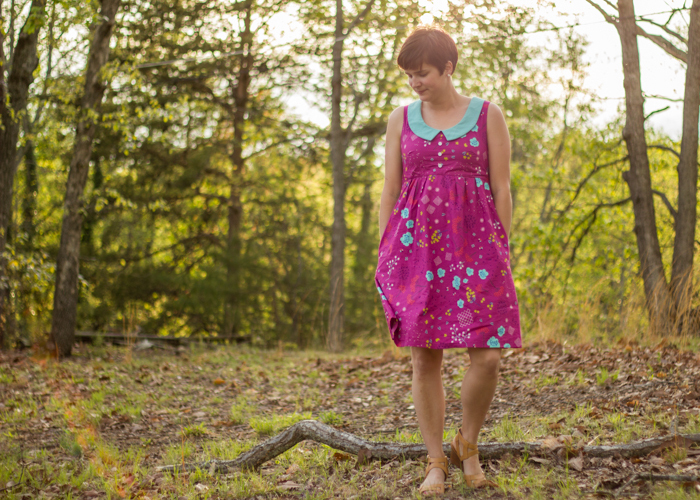 Another reason to love Made by Rae patterns! As I mentioned earlier, I had to piece the front bodice due to limited fabric, and it ended up being a little too noticeable for my taste- you can see how it made some pulling across the bust. So I decided to add some buttons to the bodice, and I’m so glad I did because it totally completed the look of the dress. You can also see some wrinkling at the bottom of the bodice that showed up after I attached the lining. Sooo…. guess I still need to work on my lining skills a bit still. All little imperfections aside, I really do love this dress and foresee it getting lots of wear this summer as it is so easy to throw on and so crazy comfy to wear! Lawn is definitely going to be my go-to summer sewing fabric from now on- might even beat out my love of double gauze for a bit! 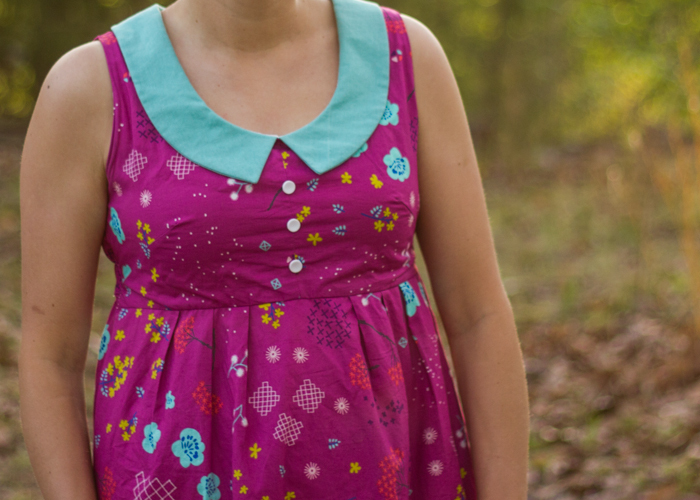 This entry was posted in Selfish Sewing and tagged cotton and steel, Easter dress, made by rae patterns, washi dress, washi expansion pack, washi xp by oliver's fancy. Bookmark the permalink. What a beautiful dress! This color combination looks so nice on you. Thanks! That sale was deadly. But seriously, those prices couldn’t be beat! Hmm I thought about taking out my hand stitching too but thinking about it and actually getting around to doing it are two different things. Lol. We shall see how much it bothers me. what a fun easter dress!! i love the colors. still nursing over here but my washis seem to fit again; i’m excited for when they TRULY fit. I loved nursing but it is so nice to be able to wear dresses again and not have everything be so tight on my chest!